Costs and expenses are always changing at the modern C-store. Vendors adjust item costs unexpectedly, tax and redemption laws change when you least expect them to, and sales patterns defy forecasting. Create complex price changes quickly and easily, distributing these to all applicable sites. Set up Item Groups to use with multi-item (mix-and-match) promotions. Switch vendors from whom you purchase various selections of items in order to get the best price possible. Determine minimum and maximum quantities of items so you know when to reorder them. 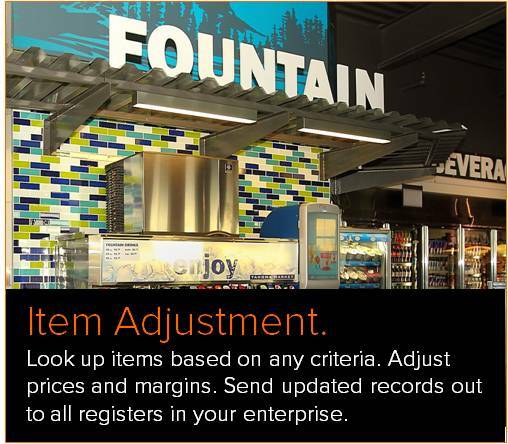 Select a specific site or sites to which the item adjustments will apply. 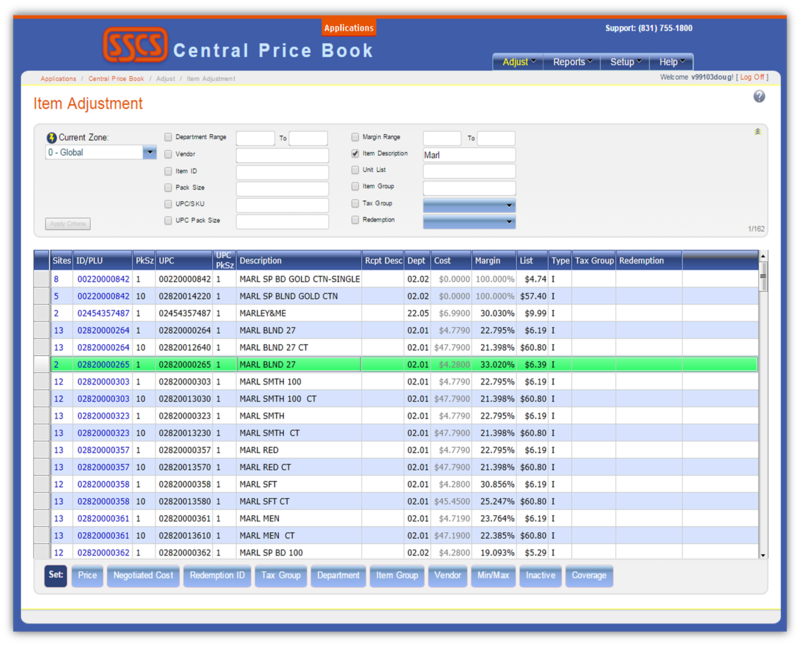 The graphic below shows the Item Adjustment screen, filtering for all items with a description that includes "Marl," in preparation for changing pricing information on the items that fall within the criteria.